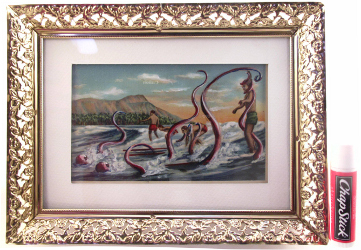 Size: 3 1/8" x 5 1/4"
Medium: Acrylic on thrift store print. 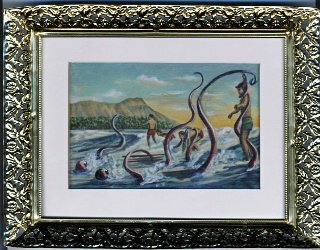 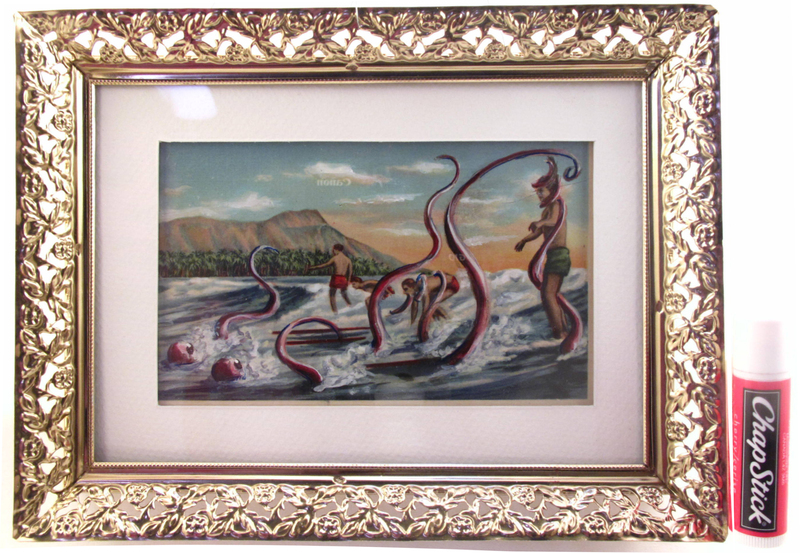 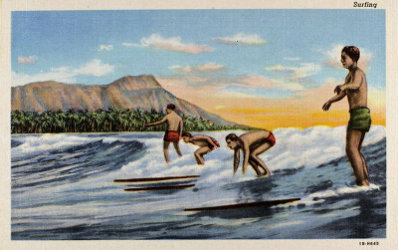 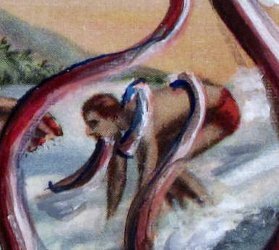 Original painting by: The original images are from a 1935 Curt Teich linen souvenir photo set called "Aloha Hawaiian Islands". 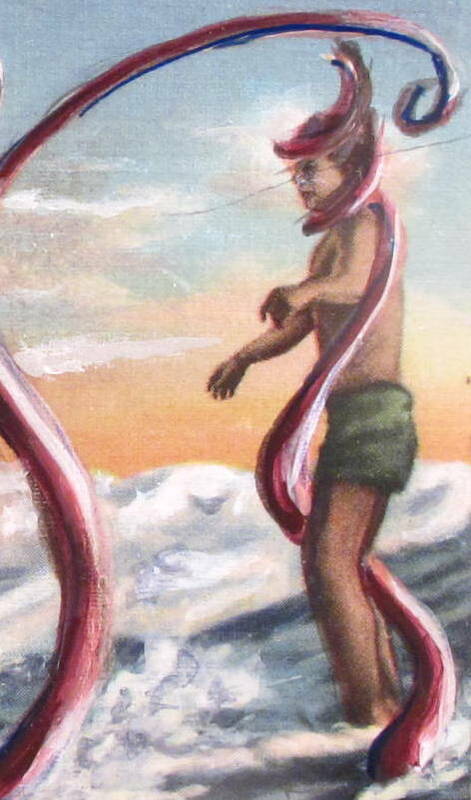 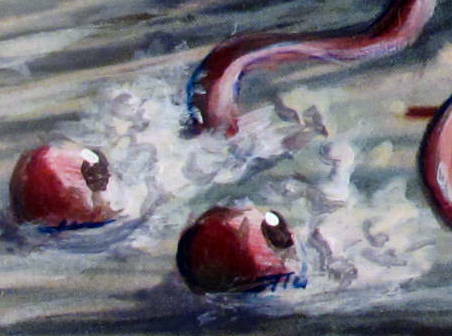 Back Story on the painting: This alien was only trying to make friends and learn how to surf like all the cool kids.....Too bad he didn't have the best social skills. 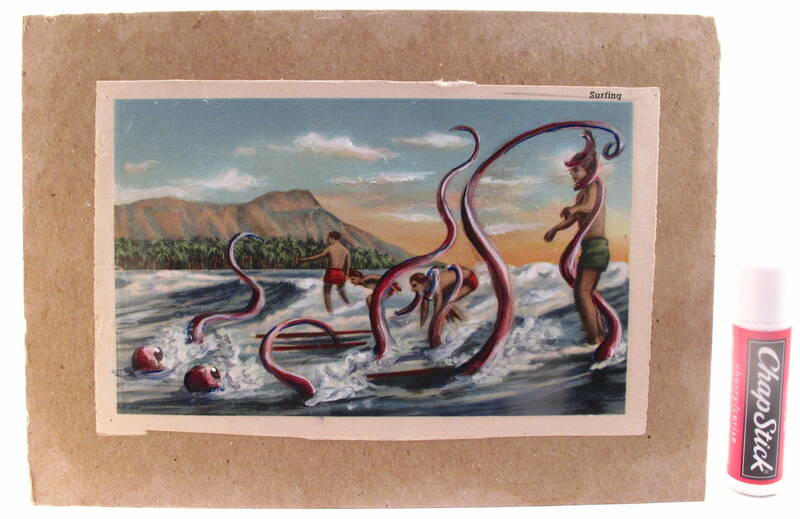 The print is on a slightly thicker than normal pulpy sort of paper. 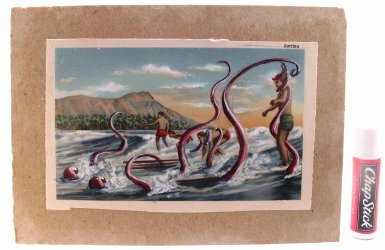 There are prints on both sides of the paper.